We’re delighted to welcome Alex Spragg who joined this week as our new Programme Director. We thought we’d get to know Alex a bit better and asked her a few questions about herself. 1. What was your first job? I worked as a Development Officer for Kent Scouts, supporting scout groups, recruiting volunteers and young people to participate in Scouting and using Scouting principles to run funded projects supporting excluded young people and young carers. 2. What’s your favourite book? Roald Dahl’s Revolting Rhymes version of Little Red Riding Hood – she was probably my first heroine! 3. If you had a super power what would it be and why? Instant transportation (like Timothy Claypole and Mrs Popoff in Rentaghost….for those who remember!) I love to visit places and have friends and family all over but don’t like the process of travelling or the time it takes. 4. Who would you invite for dinner – dead or alive? Nelson Mandela, I would love to know him better as a man and learn from him as a leader. 5. Have you got a favourite quote? “Challenges are what make life interesting and overcoming them is what makes life meaningful” – Joshua Marine. 6. Have you ever met anyone famous? I went to the film premiere of Buddy’s Song – the film that Chesney Hawkes sang “The One and Only” in, and whilst at university I went to the same church as JK Rowling. 7. What’s your favourite place to visit? There are too many but I’m at my happiest outdoors looking at a fabulous view. 8. What’s your earliest memory? Going to dig the car out of the snow shortly after we moved to the top of a steep hill with my seaside spade (age 3). 9. Who had the most influence on you growing up? My parents who gave me my moral compass, encouraged me to try anything and have always supported me to be the best I can be. 10. 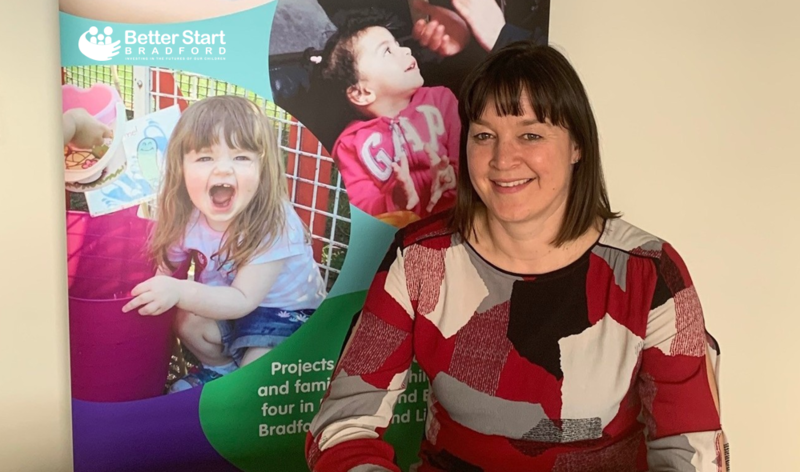 What are you most looking forward to at Better Start Bradford? Building on the success of the programme to ensure that it has positive impact on as many families as possible and leaves a lasting legacy which shapes the early intervention and prevention agenda going forward, as well as meeting inspirational parents, staff and members of the community.